excitement and thrill offered by an RPG game are just outstanding, and these games can be enjoyed by the masses of all the age groups. RPG stands for Role-Playing Games, a type of game in which a player assumes the role of a character from the game. The Character can be from the real world and the fictional game world. The aim of the game is to finish the game by completing the responsibilities of the character. The character can be played through narration, acting or decision making. Most of the RPG games take place either in the fantasy world of science fiction world. The simplest example of RPG can be a space world. Imagine the world in a space where you are an astronaut, and you have to save the earth from aliens by fighting them in the space. In this situation, you are playing a role of an astronaut from a fiction gaming world. RPG Games are hugely popular among gamers and are played all across the globe. Nowadays, smartphones are powered by 4GB of RAM and heavy graphic cards which allow developers to develop amazing RPG Games for Android. Online RPG or Offline RPG? RPG Games can be played both Online and Offline. Both have their own advantages and disadvantages. 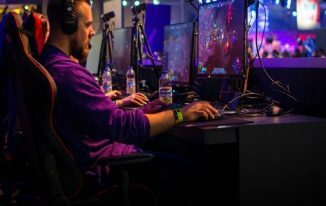 To play Online Games, you need a good internet connection to prevent lag, or you will end up losing. Apart from it, it is not possible to have an active internet connection at all places. The best example of this is Metro. Everything works fine when it is on the ground, but as soon as it enters the tunnel, most of the network stops working thus affecting the game. Thus, Offline RPG Games are given a slight advantage over Online RPG Games. You can find many Offline RPG games for Android on the Play Store. These Offline Android RPG Games can be downloaded for free. 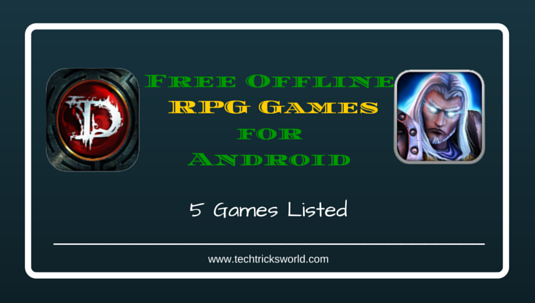 Since, the list of Offline RPG Games for Android available on Play Store is big, we have selected the top 5 best Free Offline RPG Games for Android. excellent graphics with simple controls and lots of diverse quests. No list of RPG Games is complete without mention of Dungeon and Dragons. Dungeon Explorer is one of the best immersive and challenging 3D RPG Game for Android. The game begins with the player being struck below the ruins of an old city with a minimum amount of light. Weird Noises can be heard in the game which makes it more realistic. 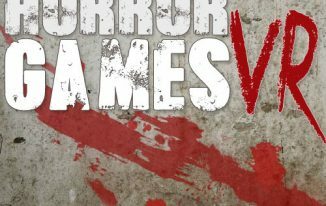 You will face many demons and undead creatures while playing the game and apart from monsters, you will have to take care of the mazes and traps. It is a 10 level game where each level demands a different set of skill, strategy, and speed. SoulCraft is considered as one of the best offline RPG Game for Android. It is hugely popular thanks to its excellent graphics and game plays. The popularity of SoulCraft can be imagined by the fact that YouTube is full of gameplays of the game. It is more of an Action RPG game rather than an offline strategy game for android. Your main aim is to bring peace in the world with the help of your ninja gun friend. You will feel like a warrior in the game as it features dungeon crawlers, blood glory, dragons, and wraith. SoulCraft is completely free of cost and can be downloaded from Google Play Store. This game is designed specifically for Android Tablets. The controls fit perfectly on a tablet but, the game can also be enjoyed on an Android Smartphone. The game revolves around the main character Roland and Charlotte. Roland is a knight and Charlotte is his cleric. The aim of Legend of Roland is to defeat an evil mutant. Many other characters can be added, and there are many skills to unlock. It is an anime-inspired RPG, and there are 13 characters to choose from. There are over 10 quests to complete. There are many offline Strategy games for Android, but Dungeons of Evilibrium stands out from the. It is a perfect mixture of RPG and strategy game. It is basically a card battle RPG where you need to collect and evolve the cards. The main aim is to build a deck to defeat the army. The graphics of the game are worth mentioning, and it is the perfect game for people who are looking for an RPG game with low default and more graphics. Playing games can be real fun, and it can become more addictive when it is an offline RPG game on Android. 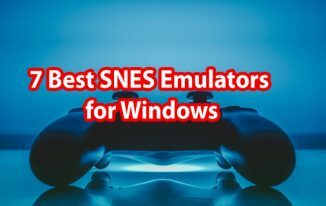 All these games listed above are completely free to download and are easily compatible with almost all Android Versions.